This article is sponsored by NewBuy. Yup, your ol’ family car has seen better days. Buying a family car can be a painful process, especially as a parent. Chances are, if you’re brave enough to drag your kids all over town with you when you go car shopping, you’ll have a patience level of -37, and a gaping hole where the thinking part of your brain used to be. So when you venture out, screaming toddler in hand, how can you successfully buy the best family car you can for the price you want? 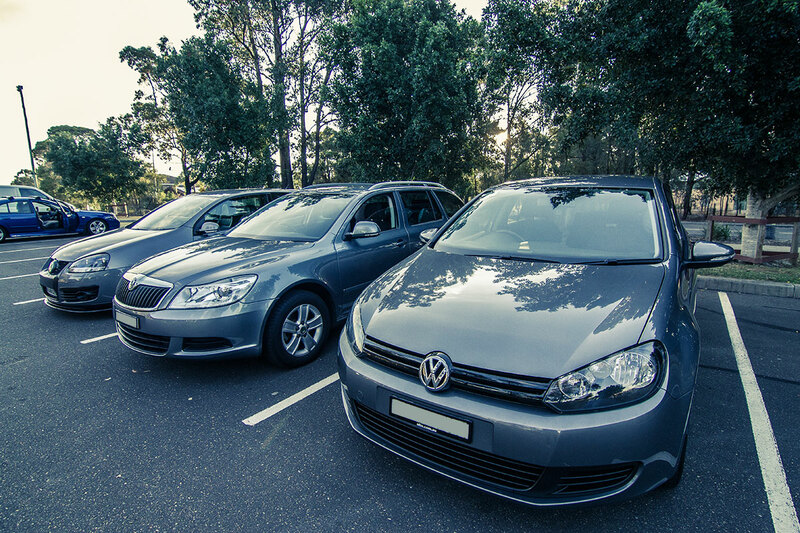 I’ve learnt some important lessons after buying both new and used cars in the last few years, and I’ve observed these key factors you need to consider to come out on top. This is what you need to pin down when you first start thinking of getting a car, whether it be new or used. Actual everyday use – will it fit kids stuff plus be suitable for your other activities and hobbies? Shape, look, colour – does it have enough dad street cred (or make you feel good at least)? Longevity – will your family be expanding any time soon? In 2008, I went in search of my first car. I was just settling into a new job at the time, in a long-term relationship, and I had enough money to buy ‘something’. I hadn’t really thought of what to buy, and my budget of around $15,000 was in a range where you could buy both new and used cars. After looking at some hatchbacks, I decided to look for a sedan instead, which could possibly be used for family duties in the near future. 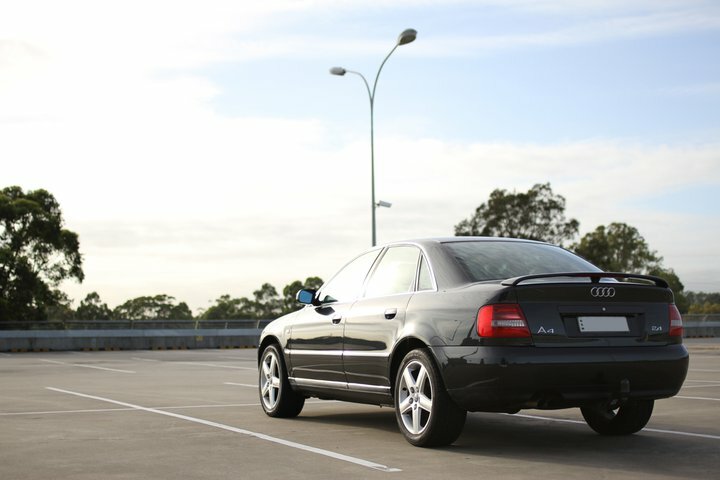 I bought a 1999 Audi A4 2.4L V6 sedan with 160,000km on it for about $15,000. Let’s just say that I didn’t know better. It was a really cool-looking car though, pretty much spotless inside and out, lovely leather interior and it had a beautiful stereo system – I loved it. But at such high km, and without any substantial research, I was soon faced with major services and replacement of worn items that I just wasn’t prepared for. It was only after reading online forums that I realised I could have made a better decision. Yes, people go on about European cars being expensive to maintain, but if you know what you’re up for, then you’d be better-placed to make a decision on what a good deal is. In hindsight, I’d say this purchase was an expensive lesson. If you don’t know what you want, and how much you are willing to spend, how can you seriously and effectively get a good deal, let alone buy a car? Knowledge is power. I firmly believe that you have to know what you’re talking about in order to make the best decision – this means researching cars thoroughly. Is it cliche? I don’t think so. Has the servicing schedule been adhered to, and has any required maintenance items been carried out at the correct times? Are there any outstanding recalls for the make and model? What is the average cost of the particular make and model of car? This is what you will be benchmarking across. Are there signs that the car has been abused? Get a mechanic to give the car a thorough check. A few hundred dollars spent on an inspection could save you from buying a pile of junk for thousands of dollars. When and how often is servicing due? When are the major service items due (for example, timing belt services that can cost over)? What will the car be worth in a few year’s time? Within the next few years, I got married, bought a house, and had my first child. With a second child on the way, I decided it would be time to move onto something else. So what did I learn from my first lesson? Do my research! And so I did. I wasn’t planning on buying another car any time soon, so what I needed was practicality for a young family – something that was fuel-efficient, had tons of space, reliable and not insanely expensive to maintain. What I wanted however was something that not many people had, and I had to like it because I’d be driving it every day. It also had to be a nice shade of grey, because, you know, family tradition. My budget had increased with a bit of help from my parents (thank you!). I traded in the old Audi and bought a brand new Skoda Octavia 1.4L Turbo Wagon, for about $27,000. Make no mistake, I love the car. But what I regret is not having the negotiation skills when it came time to face the dealers. My first mistake was that I knew exactly what I wanted, and made it apparent. When it comes to dealer negotiations, they all play a game. I think it’s called sales. And I didn’t really win. Sure I got the car I wanted, but I didn’t even get car mats or any extras other than the factory options. The driveaway price was close to what the model was listed as, so it wasn’t a substantial saving. This was another expensive lesson. I did all the right research, but my negotiation skills needed a lot of work. 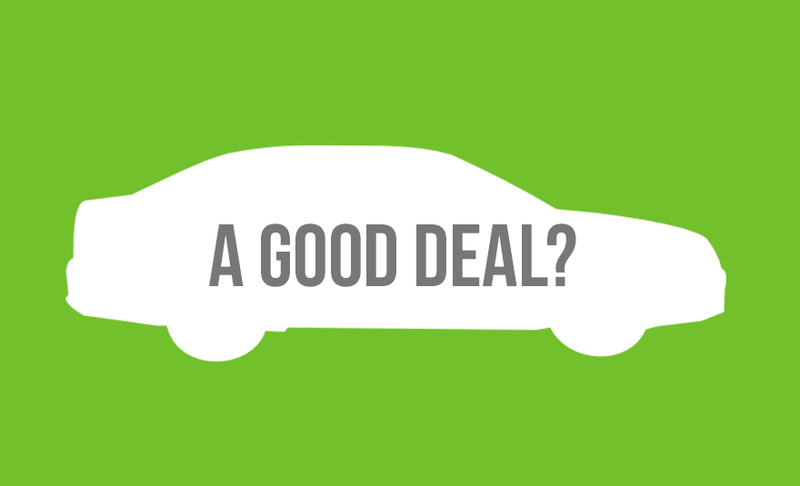 If you don’t know enough about a car – it’s past and it’s potential future – then how would you be able to know what a good deal looks like? I’m not advocating that there aren’t any pre-loved gems out there, but you really, really need to be confident that you know enough about your cars to ensure that you’re actually getting a good deal. However, If you choose to buy at a dealer, whether new or used, you have to be mentally strong to win. The prize is getting the car you want for a good price, and the opportunity to legitimately pump your fist in the air, yell a mighty roar and possibly do a wacky dance without the fear of judgement. A salesman kept us hanging around as long as possible, giving them time to attempt to gain our trust and charm us – typical sales fare. Since we hadn’t been firm on exactly what make and model we wanted, they tried anything to get us to look at other cars that might fit in within our price range, reducing our time to look elsewhere. You can pit dealerships against each other and make them compete for your business, we tried it and it seems to work. They are also under a pressure to sell, particularly at the end of the month or at the end of financial periods. If a salesperson chooses to ride with you on a test drive, they may be masking things that are undesirable with the car or can impair your judgement of the car. We were brutally honest and spoke up if we saw, heard, or experienced something odd – the salesman tried to deflect everything we questioned. Walk out if you feel like you’re wasting your time – you probably are. We lost hours of our life we can’t get back. Don’t settle for something you didn’t do any research on! We almost caved, but we were saved by a friend who reminded us to walk out when necessary. You should really bring a wingman – and what better person to be the devil’s advocate than your very own partner! Need to get out of a sticky situation? Use your partner to cause a scene with you to diffuse high-pressure sales tactics. Then throw some verbal smoke bombs and run out of the dealership. Having children in tow can be difficult to manage but can be used to your advantage. If you like a car, go in to a dealership and be firm with what you are willing to pay for it. Show that you’re ready to leave that mess of crumbs and ripped paper bits if you don’t get what you want. The sense of urgency and lack of mucking around helped us get our car. Fast forward to about a month ago. Due to changing family circumstances, we were in the market for a second car. My wife really wanted a Mk5 VW Golf, and so did I. So we did the research. We searched high and low for a Mk5 in our price range of about $10,000, but the offerings on the market didn’t inspire us with confidence. 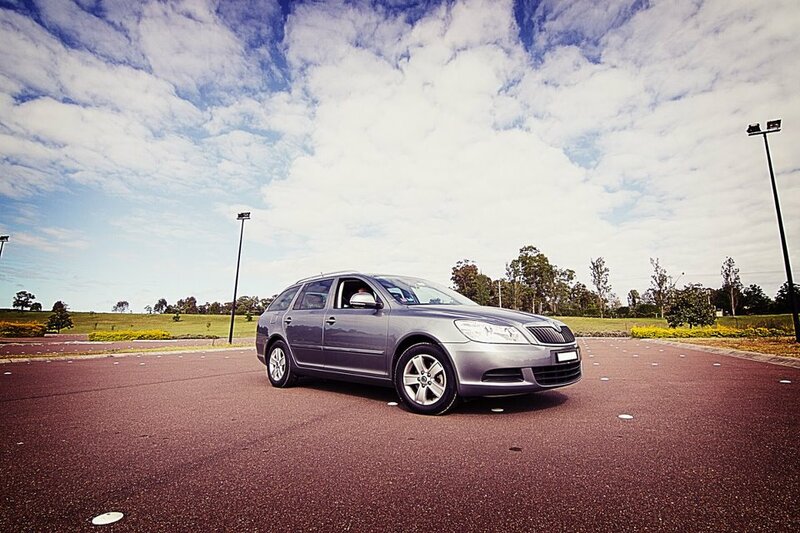 We thought we found a gem for around $9000 – spotless interior, decent, average mileage for it’s age (just under 120,000). Had we not gotten a mobile mechanic to check it out, we would have probably bought it. Oil leaks, missing and leaking CV boots, the mechanic said he wouldn’t pass it for a pink slip. After some more careful research we found that the major timing belt service was also due around that time. Needless to say we didn’t bother with that particular model anymore. We increased our budget to around $15,000, and then decided to look for anything at that price range. A mistake! We first tried looking at Suzuki Swifts, both new and near-new. The interesting thing about used Swifts is that they hold their value in the used market – meaning a brand new one, complete with warranty and being unmolested, was not much more expensive than a used Swift. So why buy used, in that instance? We spent a whole day going back and forth between dealers, hours of faux-negotiations and attempts to get us to buy cars we didn’t really know about. We bought nothing. We gained nothing but frustration, hunger, and a knowledge that there needs to be a better way. We ended up starting again from scratch after being exhausted playing the dealer games. The reason why we couldn’t commit is because we just didn’t like what we tested. We specifically redefined what we wanted – a Mk6 Golf in grey, same transmission and engine spec as our current Octavia. We searched and found one at a dealer. Knowing very well what the experience at a dealership is like, we went in headstrong. With the kids making the experience even more intense, we managed to keep our cool. A different kind of family portrait. We bought the car that we wanted for the price that we wanted. We won. In under 2 hours. The buying decision should be yours, and if someone is suddenly selling you something you didn’t want in the first place, then you’re not the one in control. Don’t be afraid to walk away. Hang on, you’re a parent, and you don’t have any time or energy for this crap! Do your research to decide on the exact car you want, including colour and options. Log onto to NewBuy to submit your car purchase proposal and the realistic price that you’re willing to pay for it. Go and enjoy your life while dealers battle it out for your proposal behind the scenes, presumably in a caged enclosure with broken bits of furniture and no rules, to be the first to match your price. You get the car you want for the price you want. Smile and do a cartwheel and/or backflip. I was impressed by the NewBuy concept when I heard of it – a commonsense way to get the car you want for the price you’re willing to pay. You’ve decided on a budget. You’ve researched the car that ticks the all boxes for you and your family. Now that you’re serious enough to lay down some cash, why not side-step all the pushy sales tactics and mind games? Hop online, log into NewBuy, send out your best offer, and get back to playing games with your kids instead. Would you try NewBuy if you were buying a new car? What are your best car buying tips? Have I missed any? Let me know in the comments below!